Signature LAGOS bracelets, introducing black caviar. Roman Jewelers is hosting a LAGOS launch event in their Bridgewater Store location on Saturday, September 26th. To celebrate, there will be a gift with purchase, refreshments and representatives from LAGOS available who will provide additional merchandise. 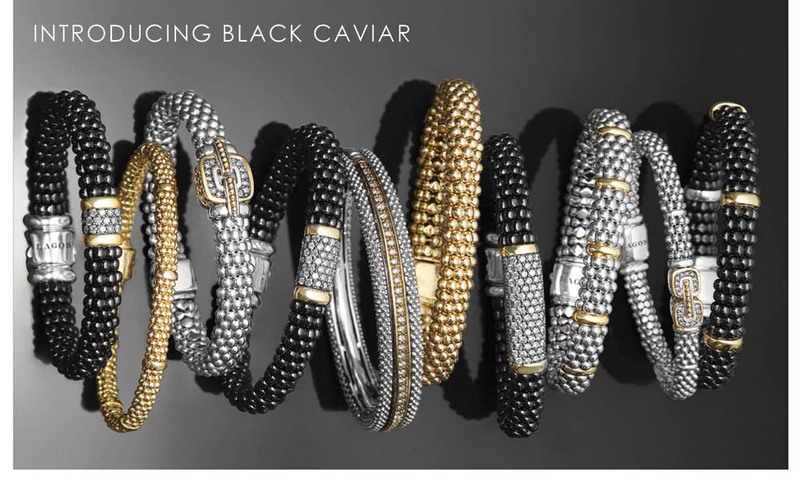 The event will be held from 10 a.m. to 5 p.m. and Roman Jewelers encourages the public to attend and find out why this designer line is a favorite…with the collection starting at $250. More than an attractive accent, the Lagos crest signifies the true integrity of each piece it adorns. Roman Jewelers in Bridgewater is pleased to announce the addition of LAGOS, to our collection of fine jewelry brands. It is handcrafted with a particular woman in mind. She radiates with grace, poise and effortless beauty. Her unique blend of strength and sophistication conveys a bold femininity. She remains true to herself and has the confidence to create her own signature look. Come in and see for yourself why her jewelry says it all : MY LAGOS MY WAY. [/vc_column_text][/vc_column][vc_column width=”3/4″][vc_column_text]Just what is an “anniversary band“? Is it different from a wedding band? 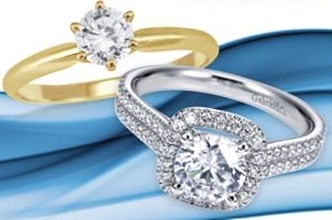 In many ways, a wedding band and an anniversary band are similar types of jewelry. 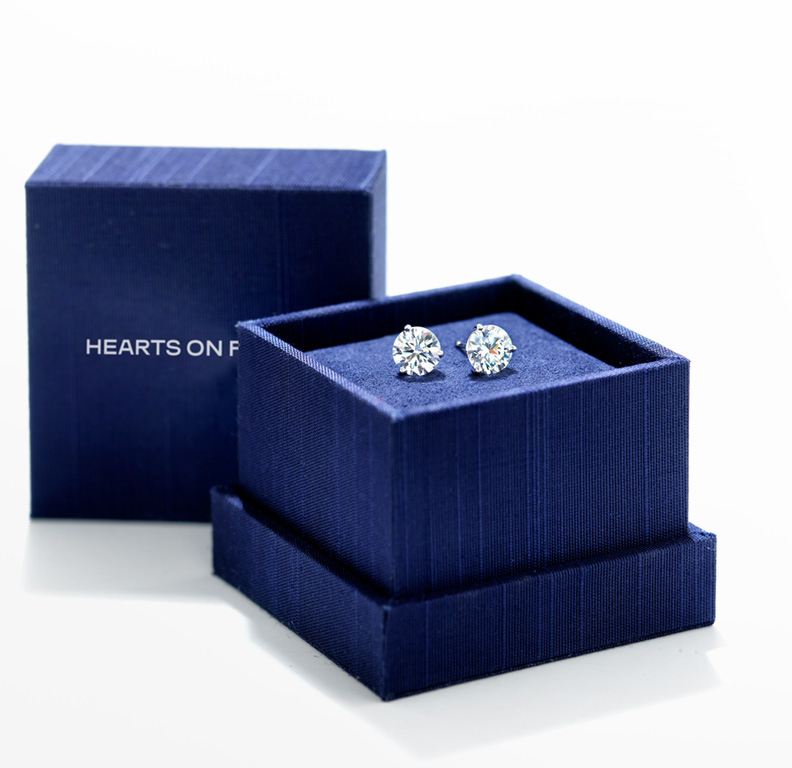 Both are given as a symbol of love and commitment on some major occasion. Additionally, anniversary bands and wedding bands generally look pretty similar, and can be worn in similar ways. Still, there are some major noteworthy differences between wedding bands and anniversary bands. A wedding band is typically a plain precious metal band, without any stones or diamonds embedded into it. An anniversary band is a little more elaborate; these typically have some type or types of jewels in the band. 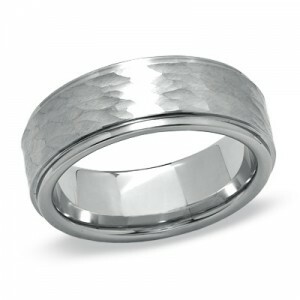 An anniversary wedding band is a perfect gift for any anniversary. Whether it is your first, tenth, or fiftieth, an anniversary ring is always appropriate. The two types of bands also differ in the way they are worn. While wedding bands may solely be worn on the left ring finger, anniversary bands offer a little more variety in use. They may be worn on the left hand, alongside one’s wedding band and engagement ring. Or they may be worn solely with an engagement ring as a replacement for a wedding band. Additionally, anniversary bands can be worn on their own as a right-hand ring. Because anniversary bands are often wider-band rings, they look spectacular when worn by themselves. Finally, wedding bands and anniversary bands differ in the occasion on which they are given. Wedding bands are, of course, given on one’s wedding day. 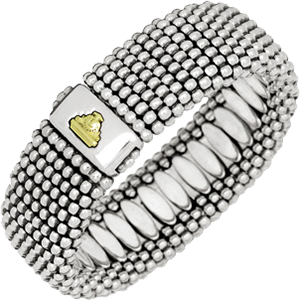 As the name implies, anniversary bands are often given as gifts on an anniversary. 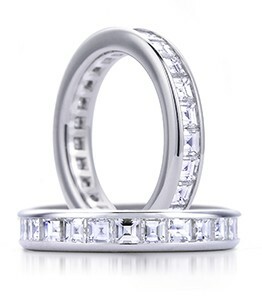 However, they are by no means an “anniversary-only” piece; anniversary rings also make great birthday or holiday gifts. There are so many styles to choose from when selecting an anniversary band. Each ring has a unique precious metal band, stone type, stone cut, stone setting, and overall design. Just like no two couples are alike, no two anniversary bands are exactly the same. Selecting a wedding band that will complement your engagement ring perfectly is no easy task. Because engagement rings are such complex pieces on their own, finding a matching wedding band can be quite complicated. Wedding bands come in a variety of different styles. Because of this, there are many different options to consider when choosing one. Do you want stones? If so, how many? And how should the stones be arranged? What type of stones should they be? If they’re diamonds, what shape/cut/clarity/color/carat weight should they be? These are just a few of many questions to consider when picking out a wedding band. No matter what you ultimately choose, there is one golden rule to remember when choosing a wedding band: wedding bands and engagement rings must complement, rather than compete with, one another. This is a pretty general rule, so let’s take a closer look into what having a complementary wedding band and engagement ring really means. The first thing to look for while matching a wedding band to an engagement ring is the contour or the shape of the shank of the engagement ring. It is especially important to pay attention to the contours if you’re looking for your engagement and wedding ring to sit flush, that is, fit together perfectly. Most engagement rings are made so that they can easily sit flush on a straight wedding band. However, sometimes this is not the case and a contoured or notched wedding band is necessary to fit together nicely with an engagement ring. If you prefer for your engagement ring and wedding band to sit together stacked, as many customers do, it is still important to consider the shape of both rings to ensure they sit together nicely. The next, and perhaps most important, consideration in finding a complementary wedding band is how elaborate your engagement ring is. If your engagement ring is more discrete and simple in diamond size/amount, then a more elaborate, stone-studded wedding band might balance out the pairing nicely. 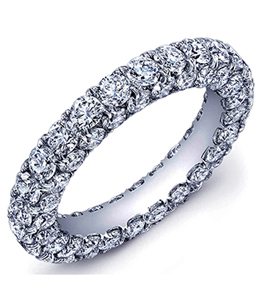 Conversely, if your engagement ring is extremely complex, a simpler wedding band might be your best choice. Of course, if your wedding band and engagement ring both have diamonds, it is important that the diamonds in both are of the same quality. The choice of precious metal and overall style of a wedding band is more open to personal preference. Some customers prefer plain gold wedding bands while others prefer platinum; certain people prefer extremely thin wedding bands, while others like theirs to be wider. No matter which style and metal you choose for your wedding band – and the options are numerous, it is important to keep the style of your engagement ring in mind. Our best advice is to choose the wedding band that will not steal attention from your engagement ring. Again, the most important goal is for these two rings to complement each other’s beauty and not compete with each other for attention. 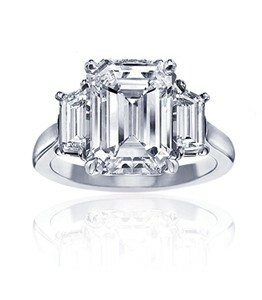 An engagement ring is one of the most important pieces of jewelry that a woman will wear in her lifetime. Because of that, shopping for an engagement ring can be extremely difficult; just how are you supposed to pick a piece of jewelry to represent an eternal love? Luckily, there are certain helpful facts that make the task of shopping for an engagement ring seem much less daunting. Let’s start with the diamond. Choosing a diamond is one of the hardest parts of choosing an engagement ring, because it requires the most consideration. One of the most common ways to evaluate the quality of a diamond is by looking at “the 4 C’s”: cut, color, clarity, and carat weight. It’s important to note that, due to other factors, two diamonds graded equally along the 4 C’s are not necessarily equal in quality or value. Still, the 4 C’s are important to consider when generally determining what quality diamond you would like to purchase. Beyond the 4 C’s, you must consider what shape of diamond you’d like to choose. Diamonds come in different shapes—round, princess, pear, and oval shapes, as well as many others. It is important to choose a diamond shape that not only reflects the style of the wearer, but also complements the ring’s setting and the wearer’s hand. Beyond the diamond, you must choose a type of precious metal for the setting of the engagement ring. There are many options when it comes to precious metals, and they come in a variety of different colors and prices. The preference of the wearer and price of the precious metal are of importance in this selection. However, one should also consider choosing a metal that matches the skin tone of the wearer. The most important thing to keep in mind when selecting an engagement ring is the woman who will be wearing it. Would your lady prefer a plain band or one studded with smaller jewels? Does she like more discrete or more extravagant jewelry pieces? Knowing and keeping the wearer’s preferences in mind will make the process of finding the right engagement ring much easier, and you’ll be sure to find her a ring she will love. 5,000 years ago, ancient Egyptians were exchanging wedding rings. They believed that the vein in the fourth finger lead directly to the heart, thus making a perfectly romantic place for a wedding ring. The tradition was passed down from generation to generation, from culture to culture, to the extent that what once was known as the “forth finger,” is now widely known as the “ring finger.” Lovers around the world still feel the romantic connection of the wedding band’s location on the ring finger as a direct artery to the heart. We are always surprised to hear from friends and customers that they are no longer wearing their engagement rings because they feel they are outdated!. Love your ring again by remounting it into a new setting at our Annual Ring Restyling Event this Thursday – Saturday! 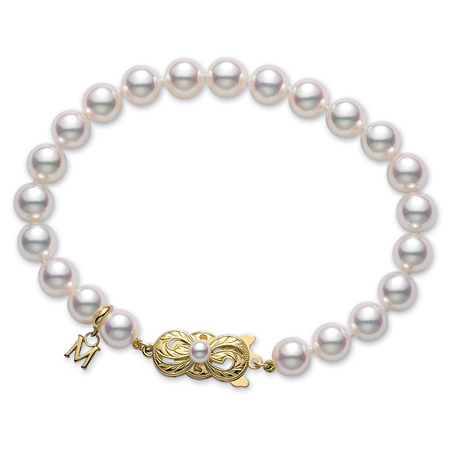 June’s Birthstone is Pearl! Want to know more? Hoop Earrings, like these choices from John Hardy, are a great Summer pick. They’ve been worn for thousands of years, and truly have never gone out of style, but magazines and models all over the world are showing them off for Summer 2015…. The Hearts on Fire difference. See it for yourself this Saturday. Hearts on Fire brands itself as the “World’s Most Perfectly Cut Diamond.” But what does this really mean?